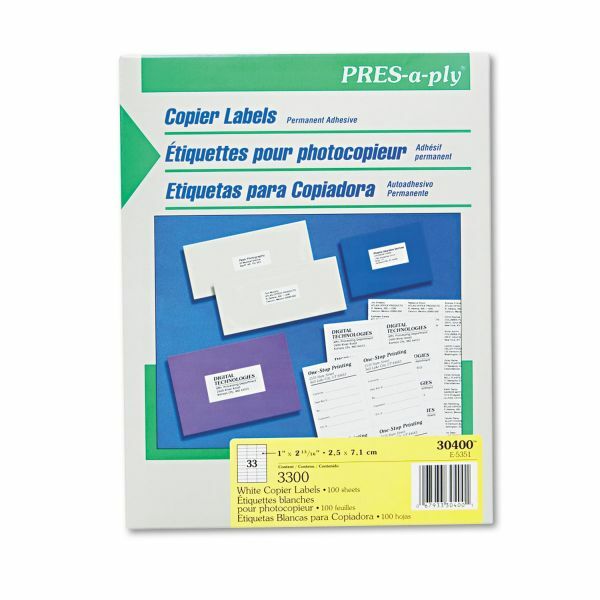 PRES-a-ply White Copier Address Labels, 1 x 2 13/16, 3300/Box - Save time addressing repeat mailings. Create master sheet once and make copies as needed. Sheets feed automatically through copy machines. 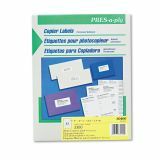 Permanent adhesive keeps labels secure on all mailings.